As an author, it can be difficult to keep up with everything that’s going on in the publishing industry. Especially if writing books is not your full-time job. It can be a daunting task writing proposals, meeting with agents and getting in front of publishers. You just want to see your book do well and hopefully sell thousands of copies. Some money in your pocket would be also be nice. 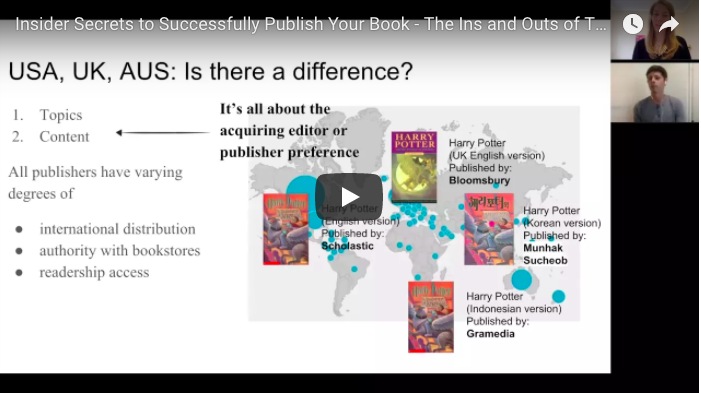 In the video below, I explain the publishing landscape, what your publishing options are, what acquisitions editors look for, and what to expect once you get started. Do you need book preorders? Catherine and I hope this video teaches aspiring and debut authors how to choose the right publishing strategy.